Come and join us to help fundraise and create awareness about Diabetes on November 25! 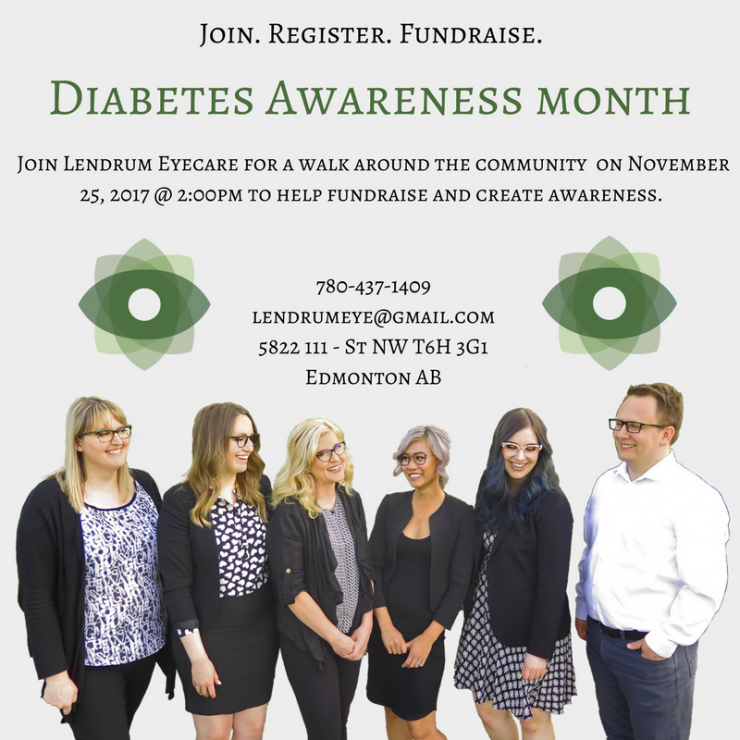 Depending on the weather, our walk will be about 20 to 30 minutes around the Lendrum neighbourhood, beginning at Lendrum Eyecare. To make us united as a team we will be providing blue toques as that is the colour of Diabetes Awareness. Hot drinks ☕️ will be served at the clinic at the end of the walk! Wanna join or contribute our team? Click here, to donate or sign up! Follow us on Facebook, Instagram and Twitter to learn more about why we are trying to raise awareness for this cause as well as extra information on the route, weather updates etc.